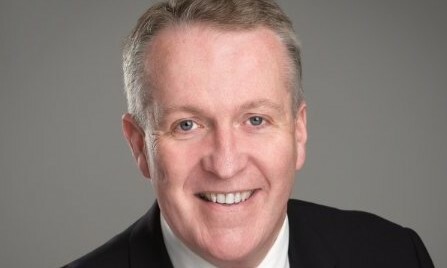 Malaysian Airlines (MA) chief executive officer (CEO) Peter Bellew said its expansion of new routes to China, India and North Asia expected in the second half of its financial year ending 31 December 2018, would be key for the airline to return to black. Bellew said that the airline is making progress on its approximately RM6 billion restructuring effort and it’s already halfway through its recovery plan, estimated to be completed in five years, according to Bernama. “In fact, we can say we are little bit ahead (of schedule). And it’s all about revenue and cost control,” Bellow told Bernama during the Malaysia Aviation Group’s Hari Raya celebration in Sepang on Monday. Bellew said that the airline should be able to increase its revenue by taking the right routes, improving its “sales and marketing and by increasing the load factors,” adding it expects to break even across some of the quarters by next year. He also expects the airline to start making profit with consistent positive results in the following year. A+M has reached out to MAS on its marketing initiates going forward as part of its exercise to increase profit. Meanwhile, Bellew added the second phase of its restructuring will involve adding new routes which includes 11 routes to China. MAS said the expansion of the selected new routes throughout this year until 2019 will be vital for the airline in making headway. Just last month, MAS launched new routes to Nanjing and Fuzhou. Its upcoming routes include Chengdu, Chongqing, Wuhan, Tianjin, Shenzhen and Shanghai from Penang, Kuala Lumpur and Kota Kinabalu. Expansion of other new routes are also a possibility. This major restructuring exercise was initiated in 2015 by Christoph Mueller, Bellew’s predecessor. Bellew assumed the MAS CEO role on 1 July 1 2016, after Mueller resigned on personal reasons. Separately, prime minister Datuk Seri Najib Tun Razak who’s also finance minister said he also expects MAS to start making profit next year, according to Bernama. Najib added Bellew had informed him on its latest forecast and further pointed out that the first stage of restructuring of MAS which focuses on stabilising its finances has been achieved. “In my discussions with Bellew, he said he expects MAB to be in the black hopefully next year,” Najib said. Who else can you expect to see at A+M’s Spin & Spiel? Speaking on the topic of ‘creativity moving from logic to magic in adver..
“Through Scootsurance, Scoot is able to offer customers a unique product that aims to meet their travel needs and improve the enti..